Teaching your kids the basics is essential. Numbers, letters, shapes; it’s knowledge that they will use for the rest of their life. Kids just eat that stuff up. But for the love of sanity, please don’t teach your kids colors. From the moment they can tell red from blue, you will never hear the end of, “I wanted the green bowl.” “Why can’t I have the yellow cup?” “She can’t have the blue spoon, she’s a girl.” A boy will lick his food off the floor before he eats from a pink plate. 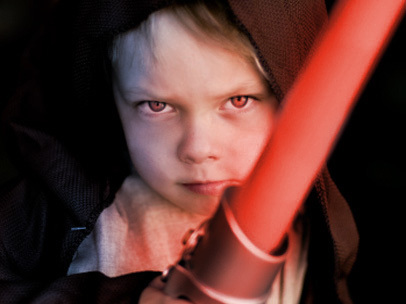 Your padawan will turn to the dark side if you give him the blue lightsaber instead of the green one. My eyes are in pain from pink everything. Parenting isn’t easy, but it’s just a little more tolerable with color blind kids.